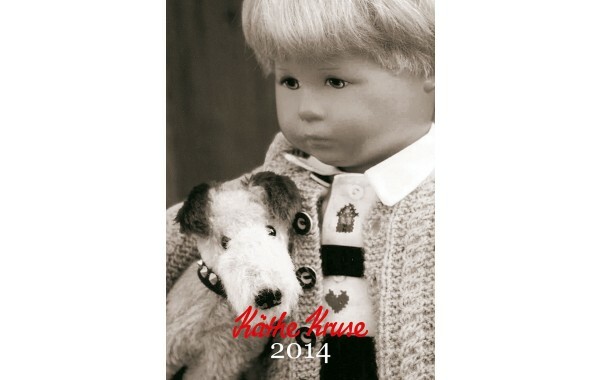 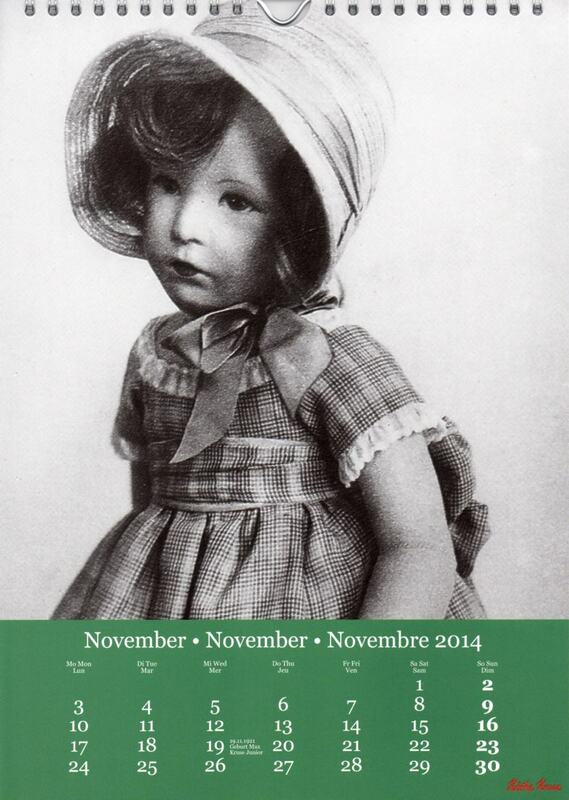 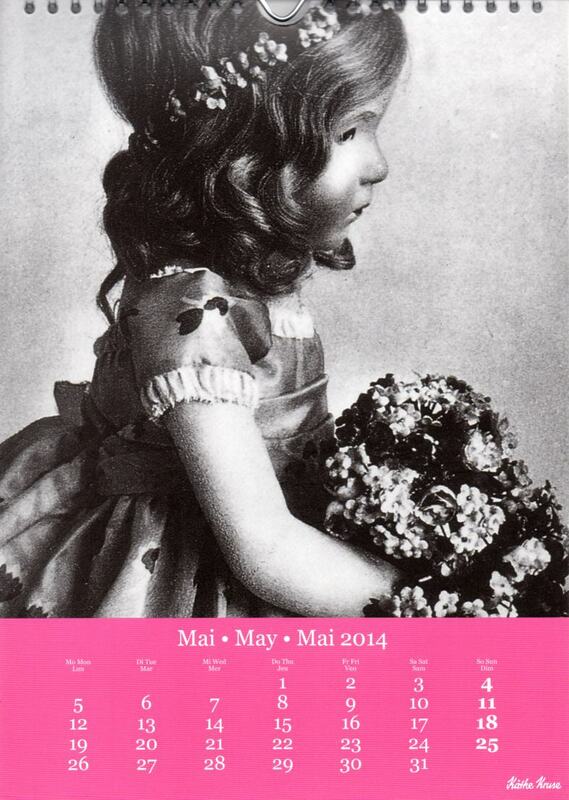 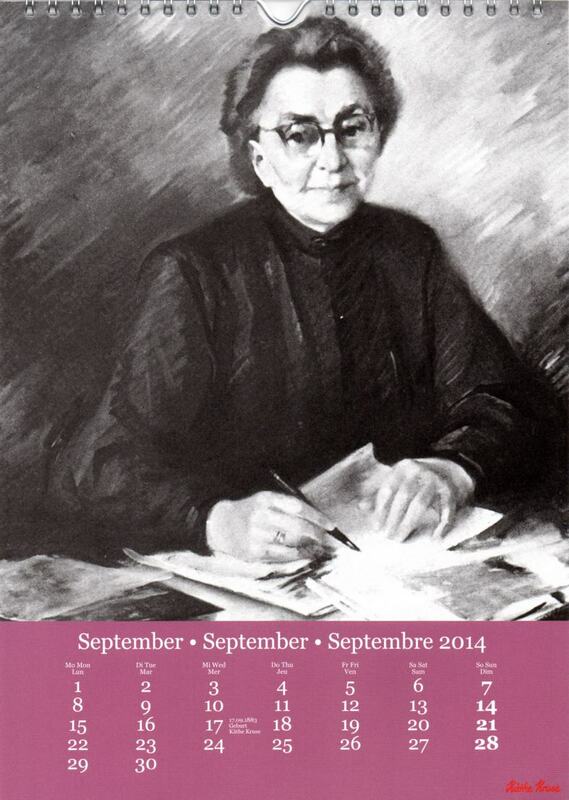 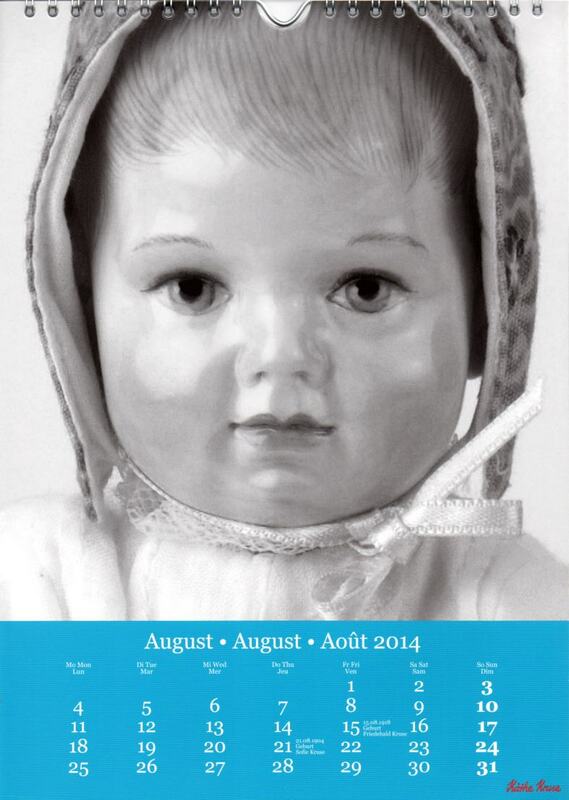 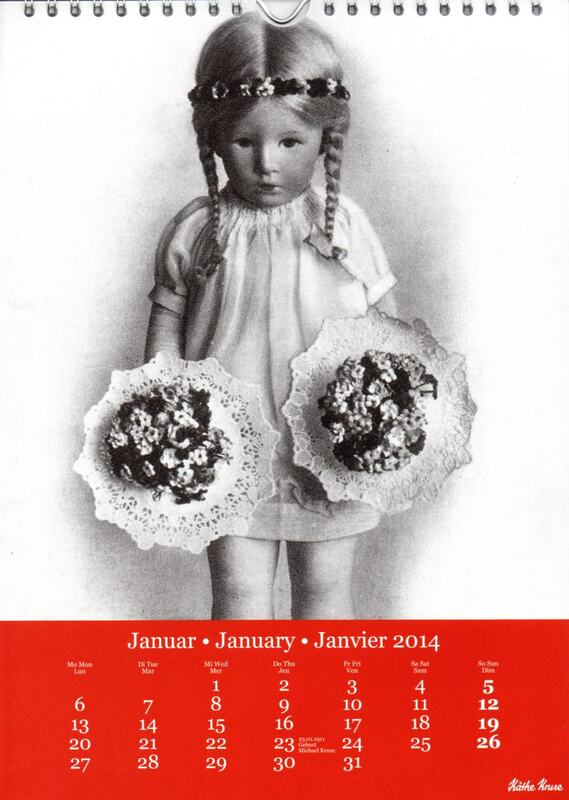 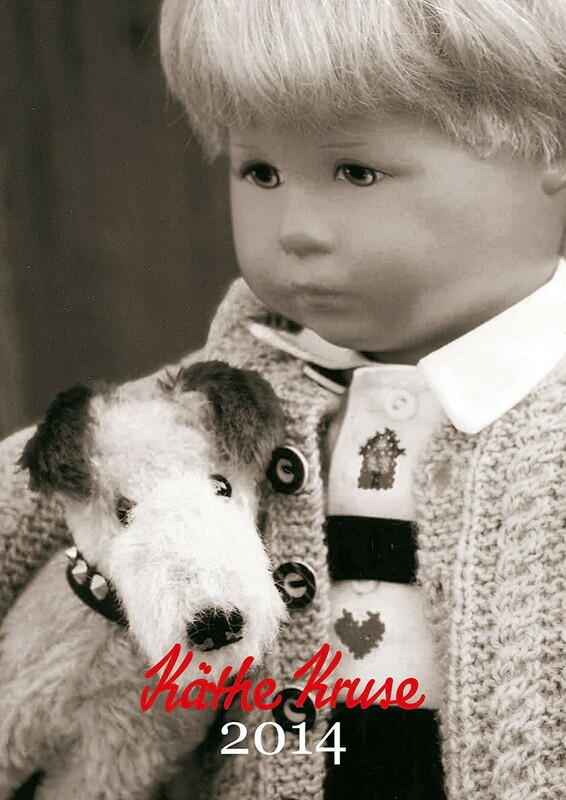 Each month of the 2014 calendar contains a black and white photo of a doll from the 100 year history of Kathe Kruse. 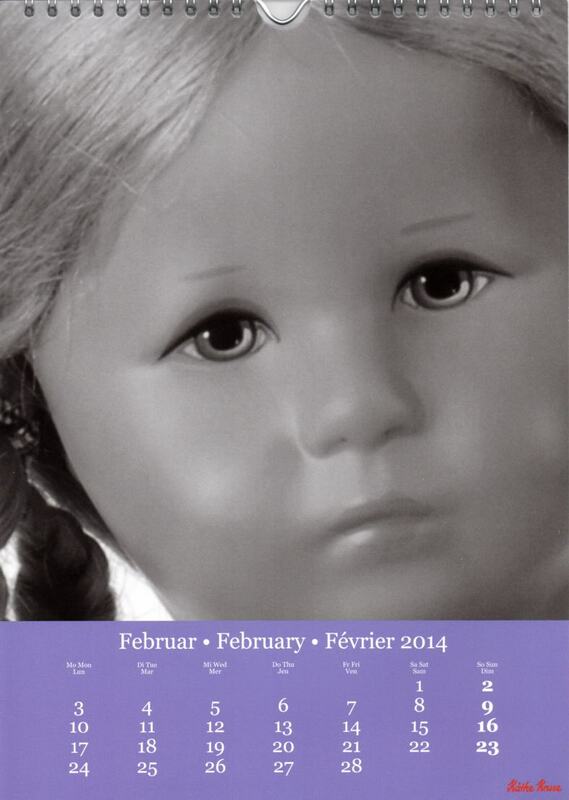 Month and day names are printed in German, English, and French. 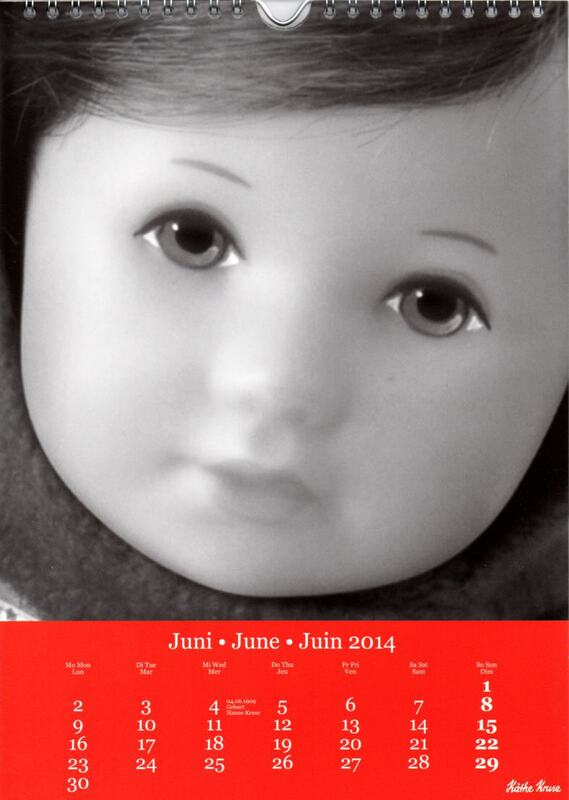 In the European convention, the week starts on Monday so that the left-most day is Monday.